The documentary An Awkward Customer - The Writer Guenter Grass accompanies the Nobel Prize-winner from 2005 until the presentation of his controversial novel Peeling the Onion in October 2006. He travels to readings, attends election meetings, award ceremonies and discussions with translators. Together with his daughter, actress Helene Grass, he gives a stage performance in Paris - while all the time working on his novel. These events are augmented by interviews with colleagues and friends such as Amos Oz, Salman Rushdie, his editor Gerhard Steidl and German ex-Chancellor Gerhard Schroeder. 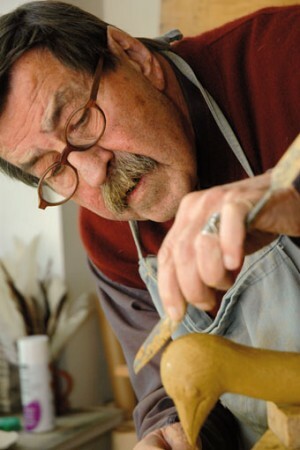 Viewing Guenter Grass from a close distance it becomes evident that his juvenile belief in the Nazi regime is the open wound which has motivated all his work, both as an artist and as a political individual. The portrait goes way beyond last summer's media hype about his "SS Revelation" and will still be valid after Grass celebrates his 80th birthday in October 2007. Sigrun Matthiesen has been working as a freelance journalist for television and print media since 1995. She has written features, documentaries and docu-soaps for public service broadcasters in Germany and France, including ARTE, ARD, NDR and ZDF. Since 2004, she has been a temporary correspondent for ARTE. A selection of her films includes: School for Centaurs (2001), Strap for Life (2003), Notes from Slovakia (2003), Latin Lovers (2004), Nicotine Blues (2005), and An Awkward Customer - The Writer Guenter Grass (2007). Nadja Frenz has been working as a freelance journalist since 1996, concentrating on television. She has written and directed features and documentaries for public service broadcasters including ARD, SWR and ZDF, as well as for international channels such as AVRO, ORF and National Geographic. Since 2004, she has been a temporary correspondent for ARTE. A selection of her films includes: Sea of Hope (2002), Wild About Roses (2002), Notes From Slovenia (2003), The Bridge of Hope (2004), The Bridge of Mostar (2004), Majorca - A Small Story of German Conquest (2004), Crossing the Borders - Israeli Rabbis in Palestine (2005), and An Awkward Customer - The Writer Guenter Grass (2007).